As your enterprise grows so must your knowledge base. So what happens to all of that useful information that’s continually building up over time? And while it’s safe to say I adore and cherish these communication channels, there’s nothing wrong with a little organization to make daily tasks easier for sales reps. Because without a system in place, your sea of powerful knowledge isn’t going to help anyone. In fact, it’s most likely going to hurt your business in the long run. Let’s dive into this not so uncommon problem. As we’ve mentioned previously, 65% of sales reps reported they can't find content to send to prospects, when they need it. If your reps can’t find content, their chances of closing a deal is greatly reduced, as you may have witnessed first hand. And to be frank, expecting reps to search with keywords across several mediums seems unattainable and naive. Especially considering how fast knowledge multiplies in the enterprise, searching for things becomes daunting quickly. The thing is, that knowledge is key when it comes to closing deals, and as a sales leader it’s your responsibility to ensure it’s centralized and easily accessible. Don’t think it’s that relevant to closing sales? Think again. According to Hubspot, 95% of buyers chose a solution provider that “Provided them with ample content to help navigate through each stage of the buying process”. Give the people what they want!!! But really, if you’re wondering how to go about this, the solution is to create a single source of truth in your enterprise. 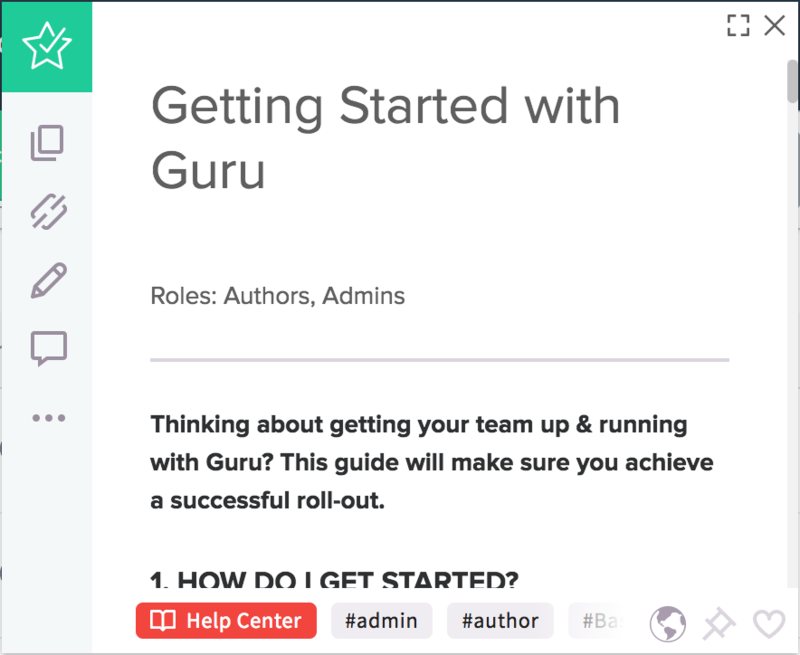 Our browser extension, Guru centralizes knowledge for you and keeps everyone on the same page right where they work. Here are 4 ways we make it easier for your reps to find the precise knowledge they need to close deals. Incorporating needed knowledge into your reps workflow and in the apps they use everyday provides them with the right information - where they need it and when they need it. 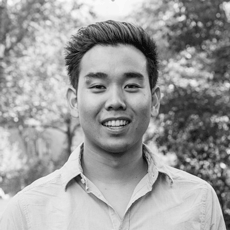 Guru allows you to create context-specific suggestions for your team based on field values in any of the apps they use including their CRM or ticketing tool, thus eliminating the need to search for the relevant documents in another portal. Reps can now instantly consume knowledge and handle prospect/customer inquiries while on a call or demo, saving wasted time from back and forth email chains and accelerating sales cycles. Reps will learn faster. Research on training suggests there is a 70:20:10 model that describes the optimal sources of learning for individuals. This model holds that individuals get 70% of their knowledge from on-the-job experience, 20% from interacting with other, and only 10% from studying and reading. So while you can tell your reps to study an objection handling document in the hopes that they will be more prepared when on a call, it’s easier said than done. For a short period of time, they might remember what they studied, but retaining and recalling that information on the fly over time is extremely difficult. Much like in the classroom, rote memorization is not as effective for long term retention of information as actually solving problems on your own. The nine decades of artist Yayoi Kusama's life have taken her from rural Japan to the New York art scene to contemporary Tokyo, in a career in which she has continuously innovated and re-invented her style. Well-known for her repeating dot patterns, her art encompasses an astonishing variety of media, including painting, drawing, sculpture, film, performance and immersive installation. Check out this blog post on a more detailed explanation of our context feature. Categorizing knowledge with tags gives reps the ability to quickly search for what they need. Speed is everything when reps are searching for answers. When reps are on a sales call, they only have a few seconds to search for the right knowledge and relay it back to the customer. Tags make it easy for reps to drill down when searching for things like competitive battle cards or case studies to provide customers with accurate information almost immediately. For the example above, industry tags could be used to separate competitors or case studies based on the specific industry they are in. Often times, search algorithms in a wiki or sales enablement platform are solely based on keywords. But when you think about how Google’s search algorithm works, it’s obviously not that simple. A whole industry has been created around search engine optimization which takes into account backlinks, meta-tags, and much more. Google has also begun to shift search away from keywords and more towards natural language processing. What that means is that they are making search more tailored to answer questions like “What is the price for a business to use Salesforce? vs. only focusing on keywords like “price, small business, and Salesforce”. The benefit of this is that search is more intent driven and more intuitive for knowledge consumers to find the content they are looking for. Similarly, for Guru, it was important that our search algorithm had its own concept of SEO for your internal knowledge base that takes into account natural language, usage metrics (has this content been used frequently or not?) and verification status (is this content trusted or not?). In doing so, the best content that is most accurate and being used most will rise to the top, while stale and unused content goes to the bottom. As your company scales and grows, your search will actually become even smarter as it is able to leverage more and more data surrounding usage of content. Providing reps a curated set of content in a specific narrative view you want them to see ensures consistent messaging. This is particularly convenient when it comes to training and onboarding new reps. While it is not the most optimal source of learning according to the 70:20:10 model, browsing and studying content still can add value when it is coupled with on-the-job training that surfacing knowledge in context provides. 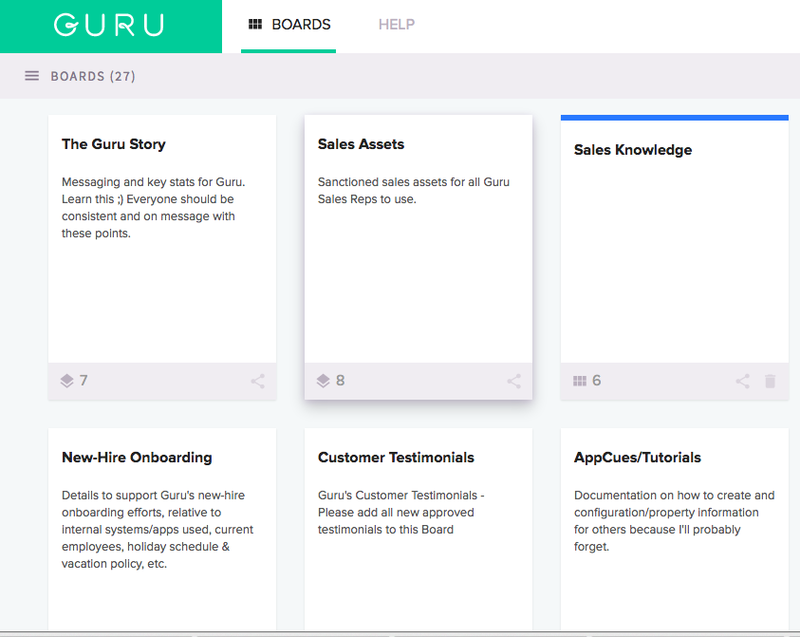 With Guru, you can easily curate topics of knowledge by creating boards. In doing so, your messaging stayed aligned and your reps are always informed of the most accurate knowledge.